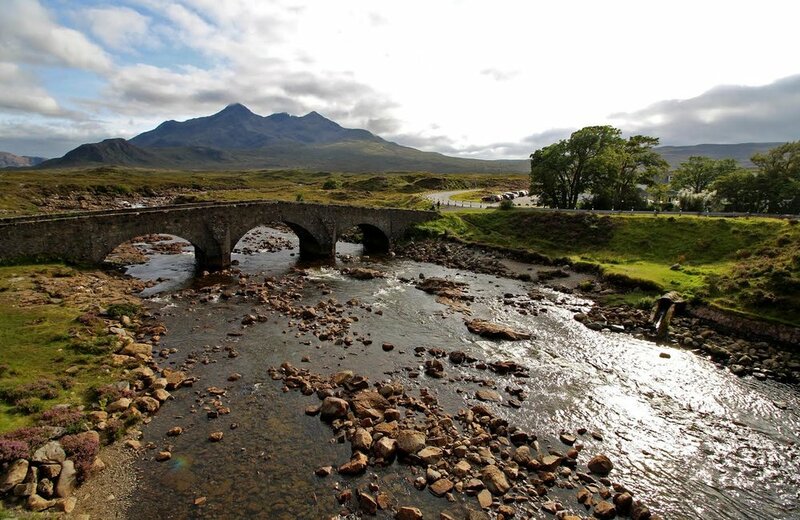 The dramatic and inspiring setting enjoyed by The Sligachan Hotel has been admired by many for generations. Nestled amongst the Red and Black Cuillins, with the sparkling waters of Loch Sligachan to it's front, the hotel has served mountaineers, walkers and lovers of the wild Highland scenery since 1830. 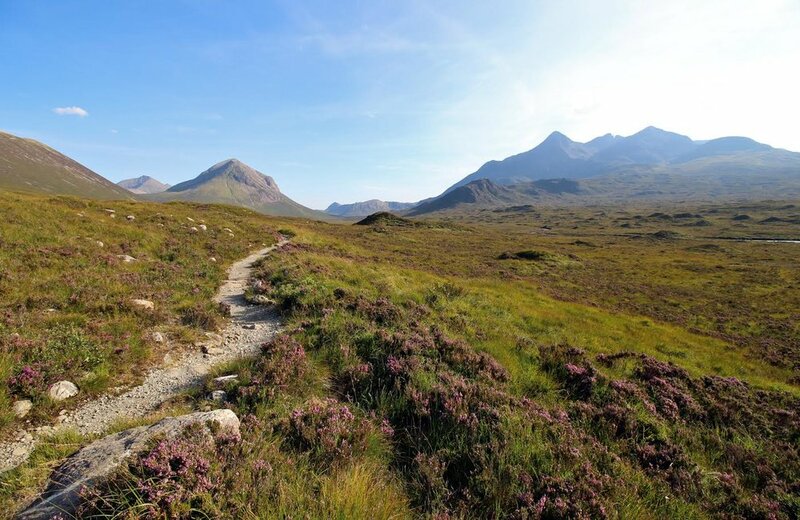 Not only a great spot for climbers, the Hotel is located at an important crossroads in the centre of the Island, offering a great opportunity to maximise sightseeing on Skye. 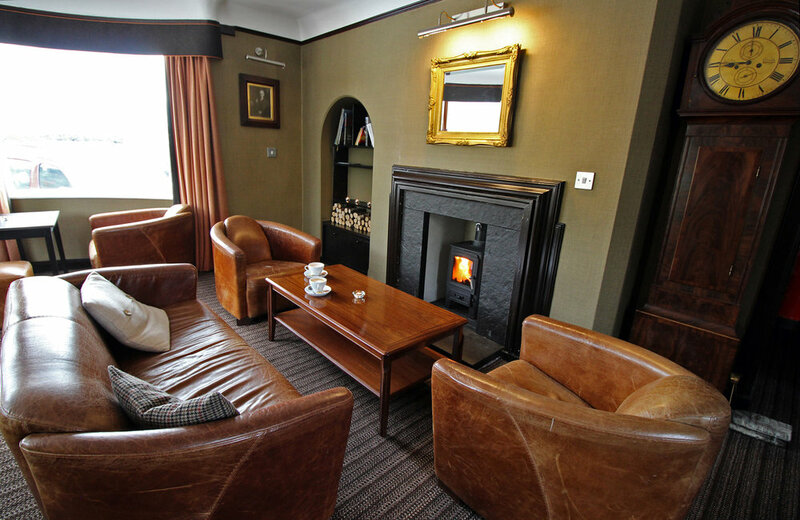 Relax in front of the open fire and enjoy a rare malt in Mackenzies Bar, or sit back in Collie's Lounge and admire the unparalleled views of the surrounding scenery from the curved picture window. Meals prepared using the finest locally sourced produce can be enjoyed in the Harta Restaurant or an informal meal can be had in the adjoining Seumas' Bar. Should the hotel's history be of interest, there is a small climbing museum with guest information dating back to the 1800's. The Hotel was constructed in it's current location in 1830. It quickly became a mecca for gentleman climbers who recognised the unique and challenging qualities of the Cuillin. Purchased by the Campbell family in 1913, the Hotel has been passed down through the decades and is now being run by the 4th generation. To maintain the historic charm of the building whilst providing real Highland Hospitality is a strong objective for the Sligachan Hotel team who hope to provide you with a memorable stay in a truly memorable location.